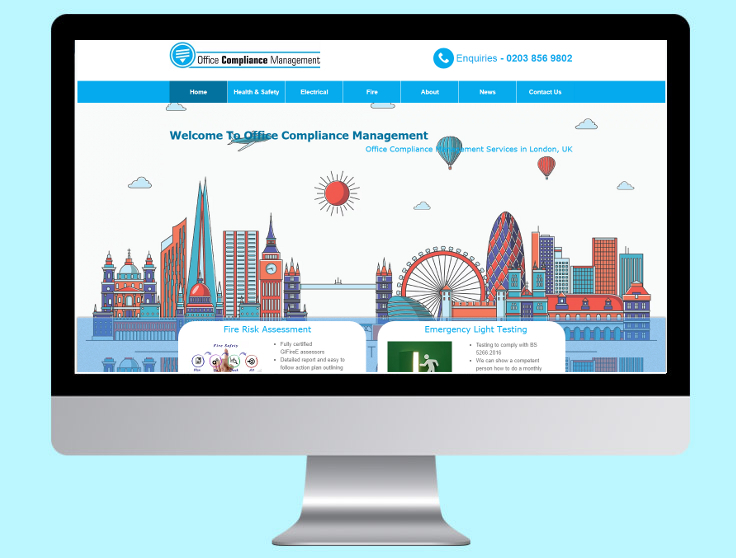 Office Compliance Management has over 10 years of experience helping businesses with their fire, health and safety and electrical compliance needs. The business owner, Tony Middleton, had achieved some decent results for his website over the years but he knew that in order to reach new customers and grow his business he would need to take his SEO to the next level. The first step in our strategy was to carry out some industry research and conduct competitor research. With this data to hand we also analysed Tony’s website to see where improvements could be made and put together a plan of action for short term, mid-term and long term goals. While the website was already ranking well for some of the services there was plenty of room for improvement with others and opportunities for further page one rankings. 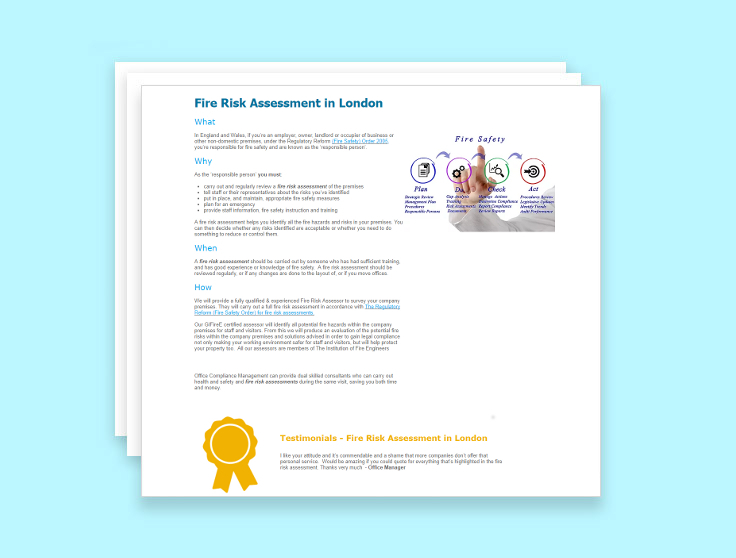 By looking at the content as well as technical elements we were confident that we would be able to improve the current rankings and help get even more services to the first page. As well as the on-site changes for the website we also looked at off-site factors based on our earlier competitor analysis. These included link diagnostics as well as local ranking factors to ensure that everything was setup correctly. Improvements were fast for Office Compliance Management with many of the services improving to first page rankings after just one month. It wasn’t just the rankings that increased, thanks to better visibility enquiries and calls helped Tony expand and grow his team.